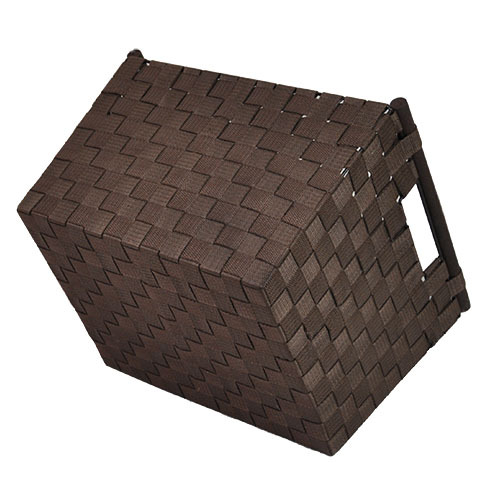 Sophia Simple Storage Basket with Wood Handle The Lucky Clover Trading Co.
Top Rim Dimensions: 14.5"L x 13.25"W x 10.25"
This basket is very sturdy. It is great for newspapers. They fit perfectly. Love the durable wooden handles. 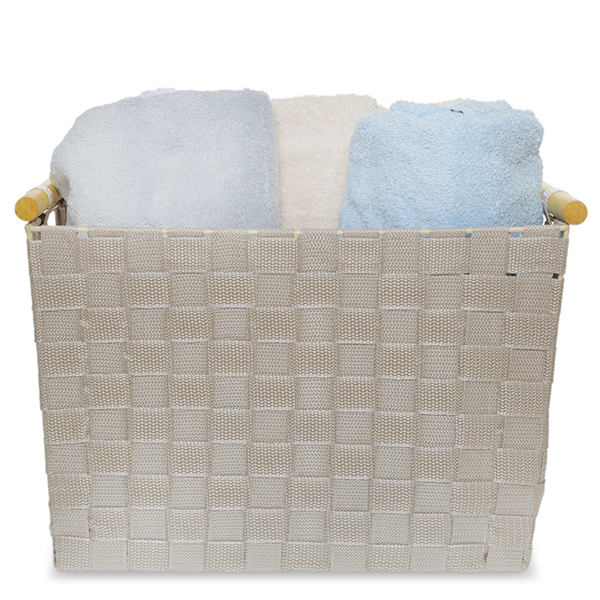 This basket is a H.O.P.E for Homes Party favorite for organizing all types of household possessions. Can't wait to order more for my next party! Great quality, got exactly what I thought I was getting. 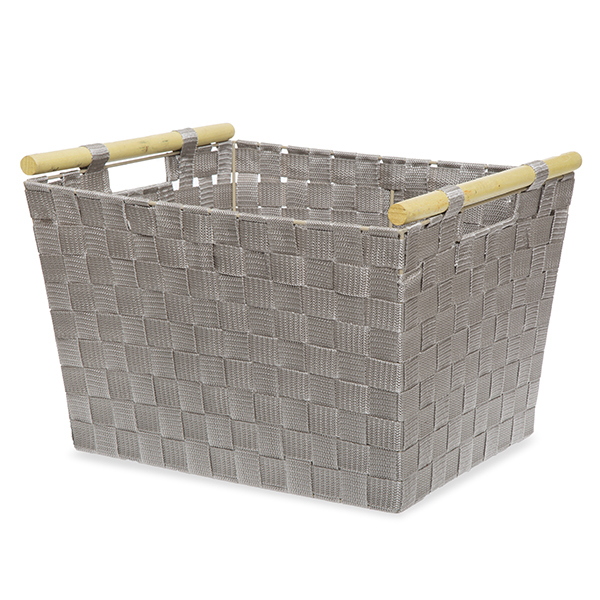 Love that this basket has a steel cage for strength, but is made out of canvas instead of wood or woven grasses. 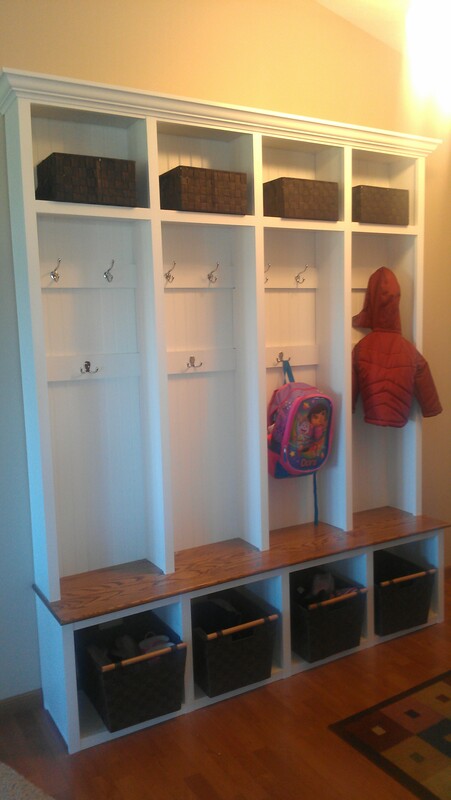 The soft canvas does not scratch the painted surface of the cubby the basket slides in and out of. Excellent product and excellent value for the money! I will recommend Lucky Clover Trading Company to everyone I know! Thanks so much! The baskets are well crafted and in great shape. They have a nice even color to them. Shipping was fast and easy. 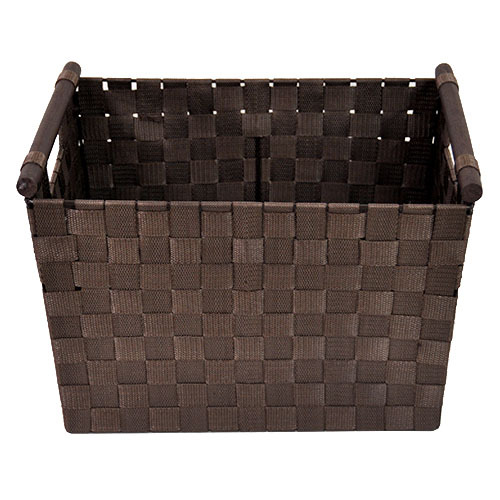 I looked at an identical baskets at Walmart which sold for $24.99 each and I only paid $10.00 each at Lucky Clover Trading for the exact same product. Even after paying shipping and handling the baskets still only came to $12.06 each. I highly recommend this company and there products. 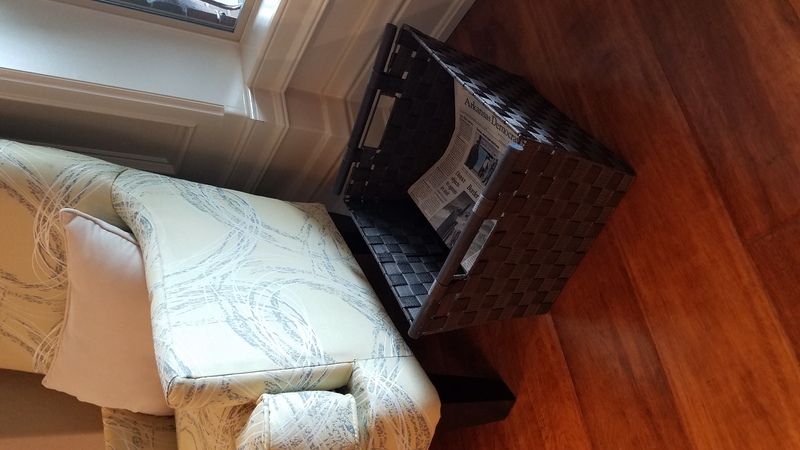 Love this basket! It's exactly as pictured on the website. 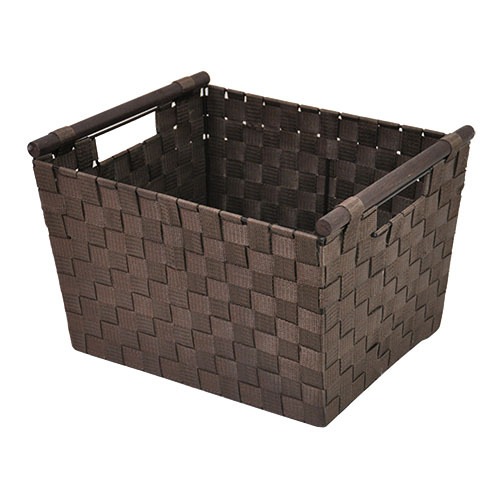 It's a beautiful dark chocolate color and basket is very sturdy and strong. I have it sitting beside my piano and use it to store my piano books/sheet music.